Deena worked within the restaurant industry for 18 years and holds a Bachelor’s Degree in Geology – San Francisco State University. Deena joined the Cascade Culinary Institute team in 2012 and brought with her an appreciation of international cuisine and fine dining. Having lived abroad most of her life, she has had the opportunity to taste and explore food and culinary cultures from many corners of the world. She worked in fine dining restaurants throughout her college career in San Francisco and surrounding Marin Counties. Living so close to the sea, I grew up with an appreciation of fresh Pacific Northwest Seafood, in addition to grass-fed beef and fresh produce. Our leisure time including salmon fishing, digging razor clams and fresh manila clams, and picking wild blackberries, which contributed to my appreciation of the outdoors. I worked at Mt Bachelor for about 16 seasons, 10 years working in the “Castle Keep”, the bar in the West Village lodge and six years as the Pine Marten Lodge Manager where I was responsible for three different restaurant outlets. Provisioning a lodge at 7000 feet has its challenges and this is where my restaurant inventory and purchasing skills were honed. I received HAACP training and certification while working at Mt Bachelor. During the summer, I worked for Sunriver Banquet department catering. This job is fun every day! I learn something new each day and am becoming excited about food all over again. I am an avid equestrian and enjoy everything about spending time with my horses. Sam worked within the restaurant industry since 1984 and in post secondary education since 2011. La Duca holds an Associates Degree in Hospitality Management from Valencia College and a Bachelors and Masters Degree in Business Management from Western Governors University. A passion for hospitality runs in the La Duca family. 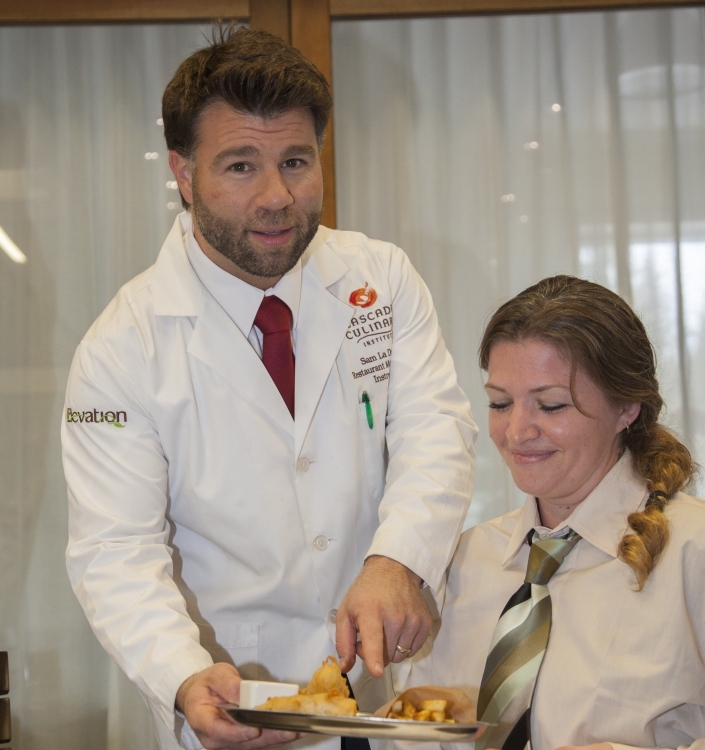 When his family relocated from New York to Boca Raton, Florida to pursue the restaurant business, Sam was introduced at the tender age of 11 to all facets of food service. He assisted in opening two seafood restaurants in south Florida. He obtained his Associate of Science Degree in Hospitality Management from Valencia College in Orlando, while working for the Walt Disney Company specializing in Food and Beverage. La Duca relocated to Oregon with his family in 2004, progressing with employer Red Robin from Server to General Manager. La Duca believes successful food service depends on developing strong connections with guests and exceeding their dining expectations. Instruction: Due to his background in dining room service, customer engagement, combined with his strong history in restaurant operations; Sam provides instruction in the areas of dining room service, supervision and human relations, menu composition and analysis, and Mixology. Certifications: Accredited Hospitality Educator, FDRP, Oregon Q-Care Customer Service, Certified Trainer – Allergy Safe Certification – Spot Check, First Aid / CPR Certified – American Red Cross, Certified Alcohol Server Instructor – Oregon Liquor Control Commission and Certified ServSafe Instructor and Proctor – National Restaurant Association Educational Foundation. 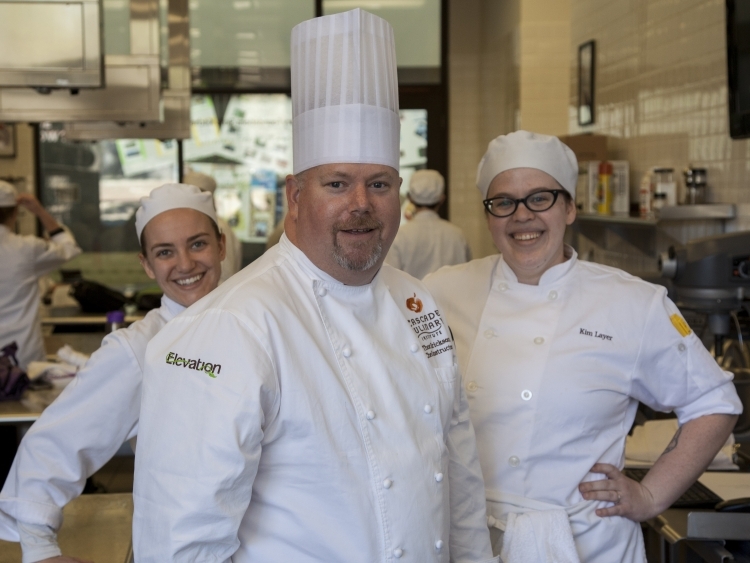 Chef Erickson worked within the restaurant industry since 1980 and in post-secondary education since 2009. 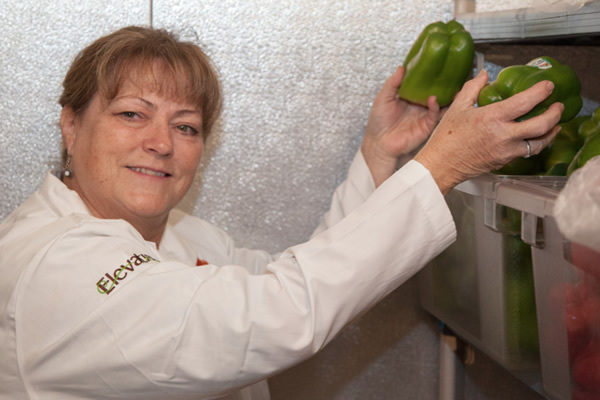 Chef Erickson holds an Associate’s Degree, Culinary Arts – Columbia Community College. Throughout his career, Chef Erickson has worked in many facets of the foodservice industry from small startups to large hotels. He established his reputation in fine dining at Chez Panisse and Jeremiah Tower’s Stars, and went on to manage kitchens of fine dining restaurants. 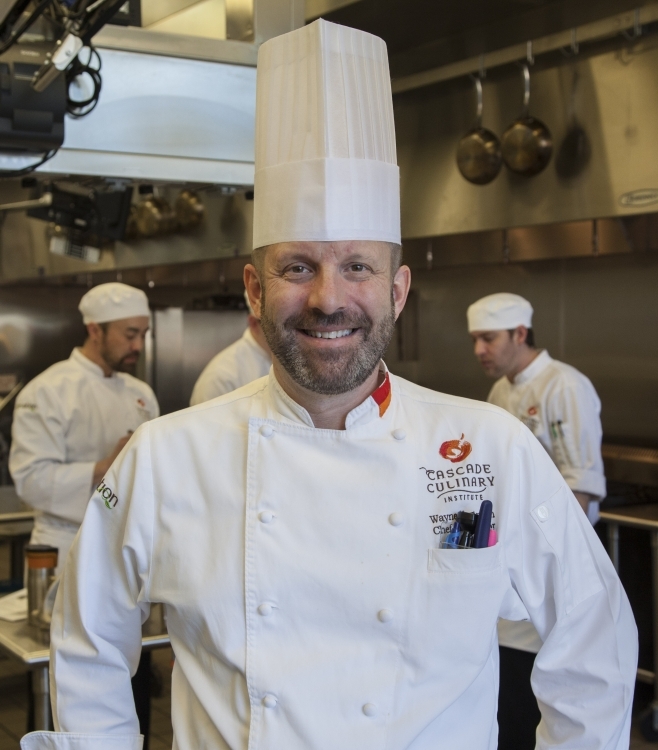 Chef Erickson is the 2013 winner of the International Association of Culinary Professionals Culinary Teacher of the Year Award. 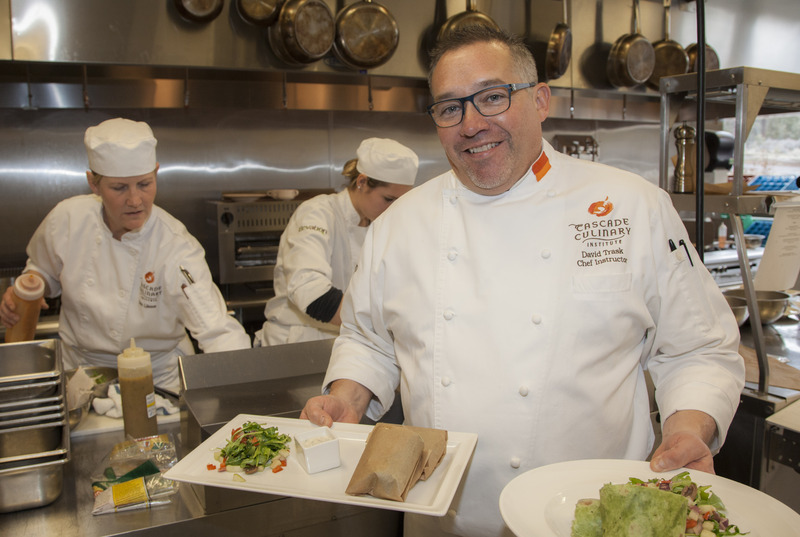 In 2015, Chef Erickson was invited to The White House where he educated The White House culinary team on the sustainable procurement, butchery, and preservation of meat. A specialist in cheese making, butchery, and charcuterie, Chef Erickson is a member of Slow Food USA and a volunteer for Edible Schoolyard, Chez Panisse Foundation and Neighbor Impact. Instruction: Chef Erickson is a firm believer in foundation skills, techniques, and sustainability. Chef Erickson teaches the Foundations courses, Garde Manger, Butchery, Charcuterie, International Cuisines, and Kitchen Operations. He is passionate about culinary education and believes that high standards lead to student success. 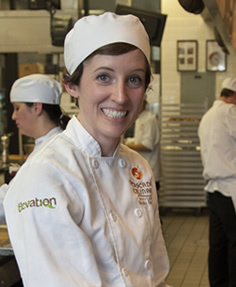 Brooke Harris is our Baking and Pastry Sous Chef for Elevation Restaurant. Brooke obtained a degree in Psychology from Washington State University in 2007, moved to Bend in 2010, and graduated from Cascade Culinary Institute in 2014. She said that she started out with an interest in baking and pastry, and really found her passion as she progressed through the school. She has baked for The Bread Peddler in Olympia, Washington, and was the Pastry Chef at 900 Wall in Bend. Brooke brings a tremendously positive attitude to her position as mentor to our students, along with a variety of delicious and innovative breads and desserts. Chef Trask worked within the restaurant industry since 1986 and in post secondary since 2013. Chef Trask holds an Associates Degree in Culinary Arts from Western Culinary Institute. Chef Trask’s culinary career began working for the McCormick and Schmick’s corporation. His early career afforded him ample experience in a fast-paced, high volume, fine dining environment. He utilized his culinary background to become a food salesman, and eventually Director of Food service for a Portland-based food brokerage firm, where he represented a number of nationally branded companies and products, responsible for marketing campaigns, product placement and menu consultation. Chef Trask has lived the last nine years in the US Virgin Islands where he served as Head Chef for a private dinner club, as well as Owner/Chef for his own catering business and Tex-Mex Restaurant He is excited to share his passion for food and culinary experience, as a Chef Instructor, with the students of Cascade Culinary Institute. Instruction: Due to his international experience and background as a restaurant owner / chef, Trask provides instruction dealing with restaurant operations, procurement and food cost control, and international cuisine. Chef Yeatman began working in the restaurant industry in 1982 and as a culinary educator since 2002. Chef Yeatman holds an Associate’s Degree in Culinary Arts – Newberry College, a Bachelor’s Degree in Hotel Restaurant Management – University of Massachusetts Amherst and a Master’s Degree in Business Administration – Texas State University. Chef Yeatman has also earned the Certified Hospitality Education (CHE) credential from the American Hotel & Lodging Educational Institute. Chef Yeatman has worked in various sectors of the hospitality industry including hotels, restaurants, contract food service, broad line distribution, healthcare, and retail grocery. Chef Yeatman has held management positions in both front and back of the house in both fine and casual dining realms. When he is not working, Chef Yeatman enjoys his family, wine and music. Certifications: ServSafe – National Restaurant Association Educational Foundation. Chef Hagen worked within the restaurant industry and high-volume commercial bakeries, product training, bakery sales and marketing since 1985 and in post secondary education since 2012. Chef Hagen holds a Bachelors Degree in English – Western Washington University. In addition to an iron strong pair of forearms, Chef Hagen developed a lifelong love and appreciation of baking. 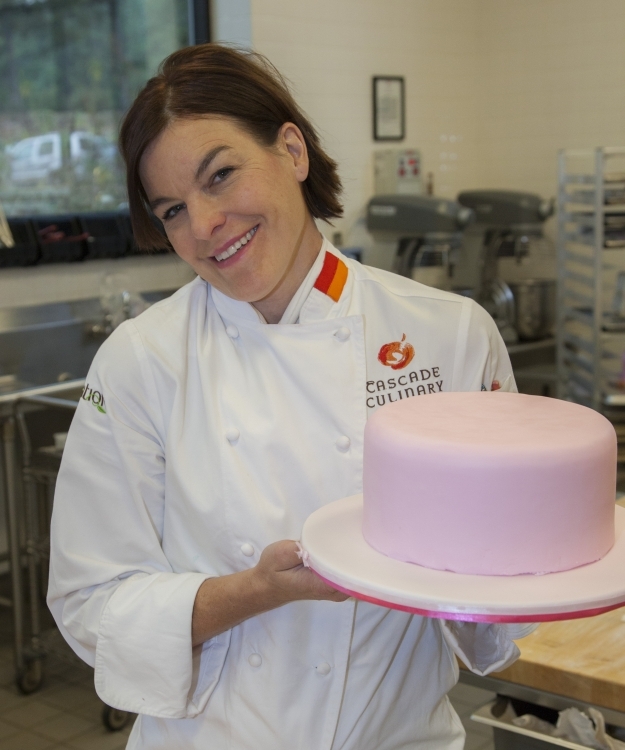 She had the fortune to train with a hot bed of talent including Iron Chef Cat Cora with whom Hagen collaborated while head Pastry Chef at Bistro Don Giovanni in Napa. Hagen left the kitchen to train institutional and in-store baking staff for H.C. Brill in California, the upper Midwest and Oregon. She became an account manager, developing a keen understanding of the economics of high-volume pastry production while working with buyers and managers. 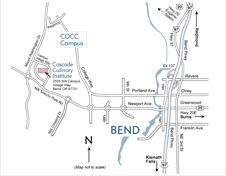 A move to Bend in 2009 reawakened her creative desires and she became the Executive Pastry Chef at Staccato and then 900 Wall Restaurant in downtown Bend. She has taught baking and pastry at COCC since 2012. She believes that chefs should consider dessert as something customers look forward to rather than an afterthought and most importantly, that bread is life! Instruction: Chef Hagen has a passion for both baking and cake decorating, hence she provides instruction in primarily bread baking courses, foundation courses related to baking and cake decorating courses.